The Kulturbund Project's Shared Stories includes filmed interviews shot between 2002 and 2004 with Kulturbund artists, musicians, and children of Kulturbund artists. Below is a sample of these interviews. Sam Adler was the son of the cantor and composer Hugo Chaim Adler, performed in the Mannheim Kulturbund as a child. In 1939his family escaped Nazi Germany. Sam studied at Boston University and Harvard University with Aaron Coplan, Paul Hindemith, and Paul Pisk. After serving in the United States Army in the early 1950s, he became the music director at Temple Emanu-El in Dallas, Texas. Later Sam became the conductor of the Dallas Lyric Theater for four years, joined the faculty as a professor of composition at the University of North Texas College for several more years before serving as professor of composition at the Eastman School of Music in 1966. In 1997, Sam joined the music composition factuly at the Juilliard School of Music where he was awarded the William Schuman Scholars Chair (2009-2010). Claude Frank was a child musician in the Kulturbund. His family left Germany for Paris in 1933 where he studied piano at the Paris Conservatory. In 1940, Claude and his family left Paris, traveling to Lisbon before coming to America. A few years after his arrival, Claude studied piano in New York under the Austrian-born master Artur Schnabel. He concentrated on the works of Mozart, Beethoven, Schubert and Braham. He taught master classes at the Curtis Institute of Music and the Yale School of Music and performed and recorded music for most of his career. He was a member of the Boston Symphony Chamber Players, played often with his wife, pianist Lilian Kallir, and performed and recorded a violin and piano repertory with his daughter Pamela Frank. In the 1970s, Claude performed more than 70 concerts a year, including performances with the Berlin Philharmonic and the San Francisco Symphony. Several years before he died, Claude enjoyed playing in the 2008 Olympic Centenary Piano Extravaganza in Beijing, China. Margot Friedlander was a dressmaker, working in the Berlin Kulturbund between 1939 and 1941. 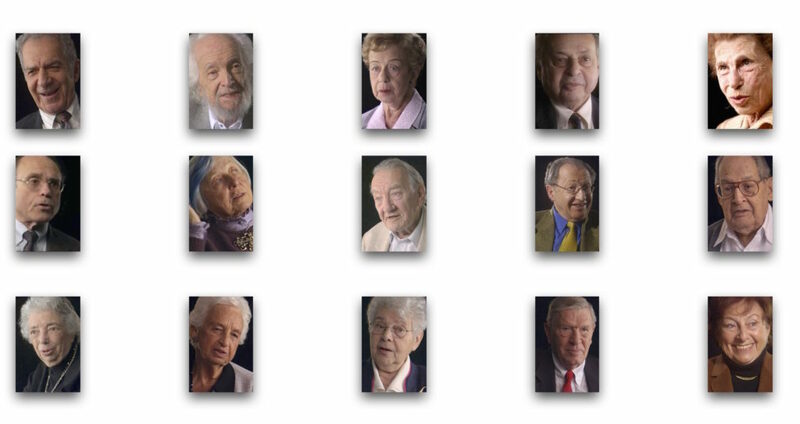 She was transported to Theresienstadt where she reconnected with Adolph Ritkander, who was also a member of the Berlin Kulturbund from 1933-1941. While in Theresienstadt, she and Adolph would enjoy memories of the Kulturbund. In June of 1945, after the liberation, Adolph and she married in the camp and soon after came to America. While Margot did not work in theatre, she enjoyed a career in the dress business for 20 years, then then became a travel agent. Marsha Sommer Hirsch was the pianist and organist for the Frankfurt Kulturbund for five years before leaving Germany on her own in 1939. Martha's parents took her to the train where she traveled on her own, eventually arriving in New York. She worked at the local reform synagogue where she met and fell in love with the cantor. She was hired to play the organ at the Central Synagogue and later at the Congregation Habonim. Actor Ernest Lenart performed in the Kulturbund's opening performance in October 1933, playing the Tempelherr in Nathan the Wise. For three years Ernest enjoyed many roles in Kulturbund dramas until he left for New York in 1936 where Billy Morris became his agent. Ernest went to Hollywood as a photographer and actor, producing screen tests using a still photography. His first client was Tony Curtis. Ernest’s last film was a year before he died. Stranger than fiction, his final role was that of a Nazi perpetrator in the German/Israeli film Walk on Water. Kurt Michaelis was 14 years old when he joined the Mannheim Kulturbund in 1935, He was deported to the Gurs concentration camp in France for 21 months where he performed in several concerts. Eventually he was transferred to the Talluyers camp in July 1942. 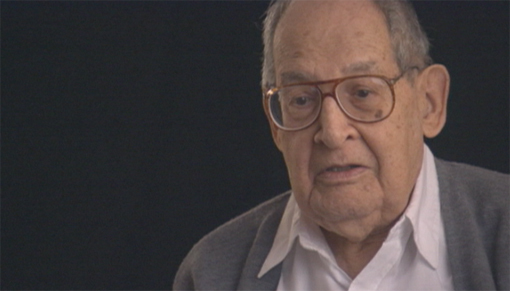 He escaped the camp for Switzerland where he lived in refugee camps until the end of World War Two. He immigrated to the United States in 1948. Max did not pursue a music career as he considered himself an amateur, not having enough training to become a professional. He was an executive, working in various businesses. Henry Meyer, violist and violinist, barely survived Auschwitz and Birkenau. In 1945 he escaped with three prisoner, hid in the woods for a week when the American found him. They sent him to Paris where he lived for three years before leaving for America. Receiving a scholarship in 1948 from the Juilliard School of Music, Henry met fellow musicians who would later become his partners in the LaSalle Quartet. After a few years at the Colorado College, the quartet moved to the University of Cincinnati. Henry taught at the conservatory for the next 25 years. Kurt Michaelis came to the Berlin Kulturbund in 1937, replacing an oboist he left for Palestine the year before. In 1941, Kurt left the Kulturbund with his two oboes and French horn for America. He worked for the New Orleans and Kansas City orchestras before joining the Russian Ballet traveling all over the United States. After 1945, he launched a career in music publishing, translating the biographies of German composers. His oboe is on permanent loan at the United States Holocaust Museum. Hannah Kroner Segal was the student of Max Terpis, ballet master of the State Opera House in Berlin before joining the Kuturbund in 1938. Hannah left with her parents Berlin in 1939 for a life in Long Island, New York. Hannah danced professionally before opening her first dance studio in the basement of her apartment in Queens, New York in 1947 that launched the Hannah Kroner School of Dance. Celebrating its 69th year (2016) the school has nurtured many dancers who went on to work in major ballet companies and on Broadway, film, and television. Hellmut Stern performed in the Kulturbund when he was seven years old while his parents were members of the orchestra. His family left Berlin in 1938, 11 days after Kristallnacht. They were exiled in Manchuria, China for 11 years before emigrating to Israel in 1949. He played as a bar pianist at the King David Hotel where he met Isaac Stern who introduced him to the Israel Philharmonic Orchestra in 1951. Hellmut left Israel for America in 1956 where he played for orchestras in St. Louis. Chicago, and Rochester, New York, before returning to Berlin in 1961. For the next 34 years, he was the first violinist and concertmaster in the Berlin Philharmonic Orchestra, working with leading conductors including Herbert von Karajan and Daniel Barenboin. Silvia Tennenbaum was the step daughter of Frankfurt Kulturbund conductor Hans Wilhelm Steinberg. Silvia left with her family for Palestine in 1936 when her step father joined the founding members of the Palestine Symphony (later the Israeli Philharmonic). Eventually, the Steinberg family came to the United States in 1938. Steinberg was assistant to Toscanini in 1945 with the NBC Symphony Orchestra. A year later, he joined the Buffalo Philharmonic as music director and conductor for the next six years before leaving for the Pittsburgh Symphony Orchestra until 1976. Steinberg guest conducted most of the major orchestras in the United Stages and traveled abroad as well as made numerous recordings. Flutist Uri Toeplitz played for the Frankfurt Kulturbund in 1934 until 1936 when he left with William Steinberg and others from his orchestra for Palestine. He was one of the founding members of Bronislaw Huberman's Palestine Symphony Orchestra, which is today the Israeli Philharmonic Orchestra. He was the principal flutist with the orchestra until his retirement. I was watching and listening to Henry Meyer – the video repeats after 2 minutes.